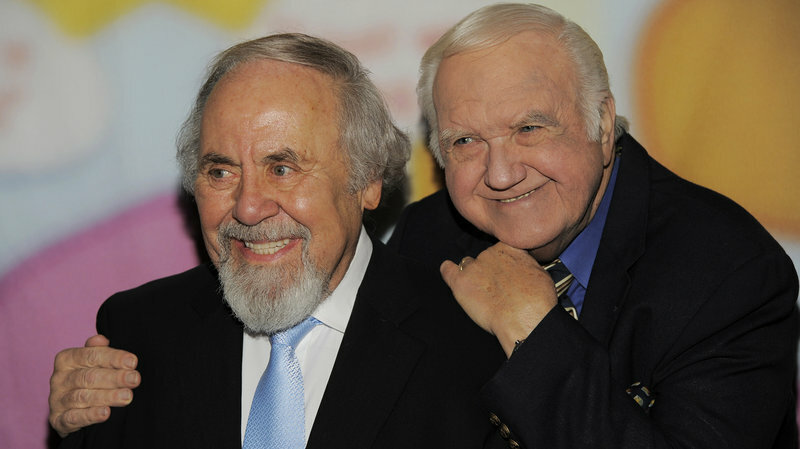 Before the rest of the country saw or heard his work, Chuck McCann was a household name in New York — he hosted a 1960’s children’s TV show. McCann was known for more than just the formative The Chuck McCann Show, he also appeared on other children’s shows such as The Rootie Kazootie Club and Captain Kangaroo. “Along with Soupy Sales, Buffalo Bob Smith, Bob Keeshan (better known as Captain Kangaroo), Fran Allison and his mentor, the puppeteer Paul Ashley, Mr. McCann helped shape zany, impromptu preteen local programming in television’s formative years. McCann went on to act in roles in movies, television and commercials. In his 1968 movie debut, McCann played opposite Alan Arkin to critical acclaim as a mentally defective deaf mute in an adaptation of Carson McCuller’s novel The Heart Is a Lonely Hunter. In 1971, he played the lead role in The Projectionist, as the lonely title character in a movie theater’s projection booth who fantasizes about being one of the superheroes he sees in the movies he shows. McCann appeared on Bonanza, Columbo and Little House on the Prairie. He also voiced cartoon characters in DuckTales, Chip ‘n’ Dale Rescue Rangers, Garfield and Friends, The New Adventures of Winnie the Pooh and The Powerpuff Girls. McCann died Sunday at the age of 83. His publicist told news outlets that he died of congestive heart failure.